(VEN) - The Ministry of Science and Technology has completed a detailed plan for establishment of a Vietnam-Korea Institute of Science and Technology (V-KIST). 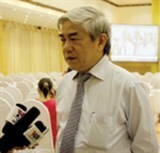 Vietnam Economic News’ Quynh Nga spoke with Minister of Science and Technology Nguyen Quan about this plan. Why was the Korea Institute of Science and Technology (KIST) chosen? We chose to learn from KIST from the Republic of Korea (RoK) because the development gap between Vietnam and the RoK isn’t too big, while Vietnam and the RoK have many similarities in culture and customs and the Vietnam-RoK relationship is very good. 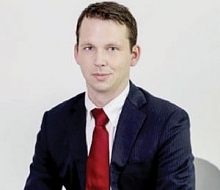 RoK businesses’ and scientists’ interest in Vietnam will make cooperation with a RoK organization more favorable than cooperation with an organization from another country. KIST’s development over the past 50 years shows that KIST is a model from which Vietnamese research institutes should learn. It is said that V-KIST employees would benefit from a high pay and their family members would benefit from allowances and be freed from paying taxes and fees. Why is that – something that has never been seen in Vietnamese scientific and technological organizations? In Vietnam, there aren’t regulations or laws on special incentives for science and technology organizations. If we do not create special incentives for science and technology organizations they will still be normal science and technology organizations. V-KIST would have the highest self-control right and benefit from special incentives. It will be a place where new policies are experimented. We want to build a research institute with completely new management thinking in accordance with management practices in developed countries. If the new policies applied in V-KIST are effective, we will propose that the national assembly and the government apply those policies to all science and technology organizations in Vietnam. Has the Ministry of Science and Technology thought of factors essential for V-KIST’s success? There are three factors leading to V-KIST’s success: The RoK President will directly sponsor V-KIST; there will be a specific law for V-KIST; and V-KIST will have scientists coming or returning from developed countries. Prime Minister Nguyen Tan Dung agreed to sponsor V-KIST through direct instruction. If a V-KIST steering committee will be established the prime minister will agree to be the steering committee’s head. The national assembly has agreed that there will be a resolution subject to V-KIST and international standard research institutes. The Ministry of Science and Technology is drafting a resolution on incentives for special science and technology organizations. We told the Ministry of Science and Technology’s representative offices overseas to search and set up a database of Vietnamese scientists abroad with important positions and contributions in foreign countries and territories and list scientists abroad that are sympathetic to Vietnam who are willing to contribute to Vietnam’s development. As soon as V-KIST is officially established, we will invite Vietnamese scientists abroad, both young and experienced, and foreign scientists to V-KIST to help the institute in its initial stages. What are potential impacts of V-KIST? According to the roadmap, V-KIST will be established in 2015, infrastructure construction of the first phase will be accomplished and V-KIST head office will be opened at the Hoa Lac Hi-tech Park in 2017. Budget for V-KIST is an established US$70 million, including US$35 million in RoK official development assistance (ODA) and VND730 billion in the Vietnamese government’s reciprocal capital. 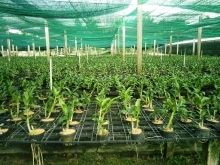 If V-KIST is as effective as KIST is, it will have a great impact on the Vietnamese economy. However, with current Vietnamese socioeconomic conditions, we think that it will be difficult for Vietnam to have a research institute equal to KIST. Anyway, it could be emphasized that if V-KIST is successful it will make so important contributions not only to scientific and technological development but also socioeconomic development in Vietnam in the next decade. 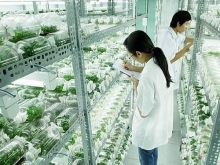 If Vietnam wants to become an industrialized country after 2020, it must have strong science and technology organizations, including international standard scientific research institutes capable of making breakthroughs and producing major products that contribute to the Vietnamese economy./.